A new release issued this week from Red Hat Ansible – an open source project and commercial product for creating a devops environment – is enabling developers to control network infrastructure. The devops movement is focused on how to create a better IT environment for developers to provision their own infrastructure in order to create applications faster. Much of that work has focused on provisioning compute and storage resources. But now networking has officially been invited to the devops party. Ansible is a set of open source software components that extol virtues such as “treat infrastructure as code.” Ansible and other devops tools such as Puppet and Chef, allow developers to provision infrastructure resources through command line interfaces so that developers don’t have to wait for infrastructure and operations experts to do it for them. The latest 2.0 release of Ansible includes connector modules that allow developers to control network equipment just like they provision servers and virtual machines. Ansible initially supports Arista’s EOS, Cisco’s Application Centric Infrastructure (ACI), Cumulus Linux, OpenSwitch.net and Juniper OS. The idea of controlling network infrastructure through software is not new; that’s the whole idea behind software defined networking (SDN). 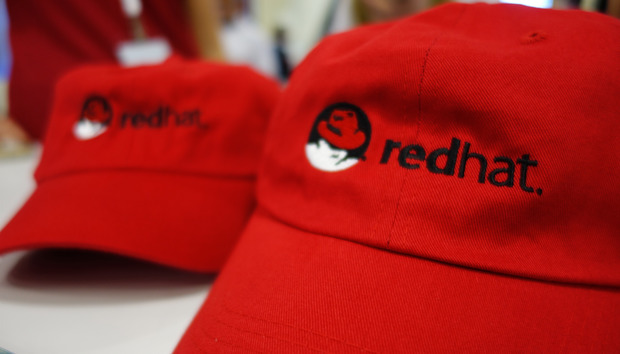 Red Hat’s Tim Cramer says Ansible is taking a different approach to the issue though. SDN products that the Ansible modules integrate with function at a higher layer of the stack as overlay networks. Ansible’s networking modules can be thought of as an underlay. “There’s a point between when a networking device is powered on and when it’s provisioned; that’s the area we’re serving,” he says. An SDN architecture would sit above that and provision the network equipment’s specifications. “In order for the SDN and the overlay to be successful, the underlying infrastructure needs to be operating correctly,” he added. The modules for controlling network devices are in a technical preview, but they’re already published in the Ansible open source community on GitHub. You can read a blog post about the news here. Red Hat plans to integrate the modules directly into the broader Ansible project during the 2.1 release later this year. Red Hat sells a packaged version of Ansible named Tower which will also include the networking modules after the 2.1 version is released. Could blockchain help fight the counterfeit goods racket? Should Software Testing Be Military?